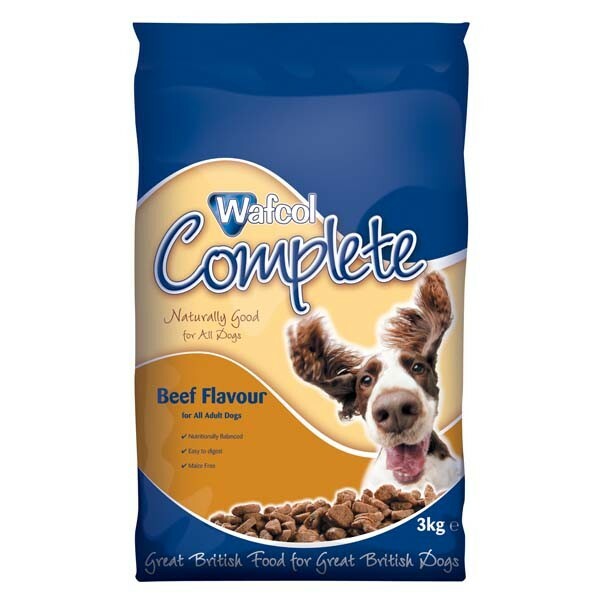 Wafcol Complete Beef Dog Food has been carefully formulated to meet all the nutritional requirements of a normally active adult dog. Wafcol Beef is easy to digest, highly palatable and free from maize, barley, rye and oats, making the sensitive recipe particularly useful for dogs that suffer from Skin Problems or Overheating because of an allergic reaction to maize. The blend of oils, minerals & vitamins ensure that your dog stays in peak physical condition, from strong, well-formed bones to a thick glossy coat, toned & well-developed muscles to strong teeth & healthy gums.